Whilst Star Wars fans wait for the as yet untitled Han Solo spin-off movie from Lucasfilm. 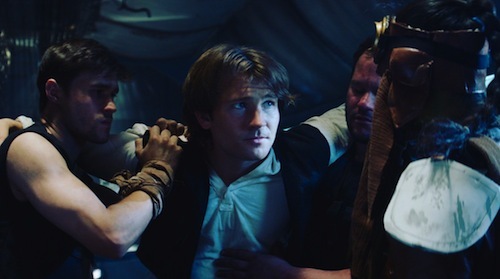 Why not watch Star Wars fan film Han Solo: A Smuggler's Trade. "The Universe's favorite intergalactic smuggler sets out on an epic quest to rescue an old friend. He uses his mechanical skills, cunning wit, and his creative interpretation of the rules to fight, flirt, bribe, and barter his way to victory. But will it be enough? Before there was A New Hope, there was Han Solo -- just an outlaw trying to survive in a galaxy more corrupt than he is... and far less forgiving." This is a labour of love from director Keith Allen. Jamie Costa's Han Solo is not too shabby at all. There's an Indiana Jones vibe to proceedings, and that's no bad thing given both Star Wars and Indiana Jones franchises are owned by Disney. I've featured fan films in the past and am going to increase coverage going forward. If you have a Star Wars fan film you'd like to share, please contact me. 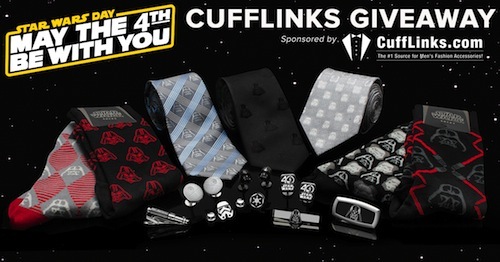 The fine folks at CuffLinks.com are celebrating Star Wars Day with a galactic giveaway to mark the 40th anniversary of Star Wars' release in the US this May. CuffLinks.com sent over a selection of their licensed Star Wars products and, as you can see, these are high quality cufflinks that fans will want to collect and wear. The classic Star Wars branded boxes can be displayed with pride too. The competition runs 25th April thru 3rd May. The winner will be announced on Star Wars Day, May the Fourth, with 40% off Star Wars items across the store. To enter simply visit CuffLinks.com. No purchase necessary. Star Wars fan films have thrived since the original trilogy. Now, Star Wars: The Force and the Fury continues the tradition and is dedicated to the memory of the late Carrie Fisher. Fellow fans are going to love this. "A Jedi crash lands on a barren planet and is pursued by a mysterious Sith who seems to know him." Fan films can be an excellent opportunity for aspiring filmmakers to showcase their talents. Kudos to Star Wars: The Force and the Fury writer and director Jason Satterlund. Star Wars celebrates its 40th anniversary this May. 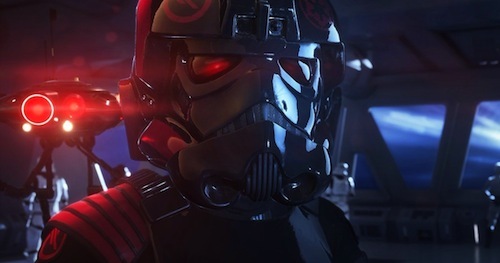 So, Games with Gold has something for Star Wars fans. 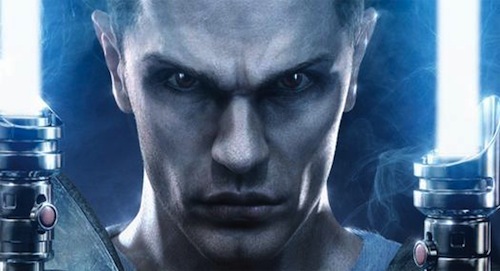 This May subscribers can download Star Wars: The Force Unleashed 2 and LEGO Star Wars: The Complete Saga for free. 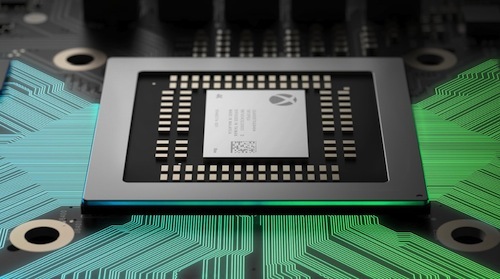 Both titles are backwards compatible on Xbox One. I've purchased them previously and would recommend any fan to try them. LEGO Star Wars games are always a treat and The Complete Saga is no exception. What's your favourite Star Wars video game? Let me know in the comments below. 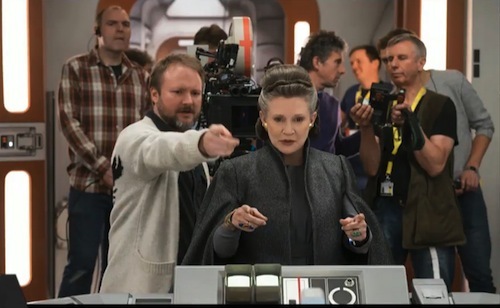 During The Last Jedi panel at Star Wars Celebration, director Rian Johnson revealed the late Carrie Fisher assisted with the screenplay for the first sequel to The Force Awakens. "It was such a moving tribute... I don't know if I can add to that. I love her so much, I just adore her. I connected with her first and foremost as a writer. She's a brilliant writer, with an incredible mind. I'd go to her house and we'd sit on her bed for hours, going through the script. (We) would just have these kind of stream-of-consciousness, Jazz poetry, ad-lib sessions, and I would just scribble down everything she said on my script. 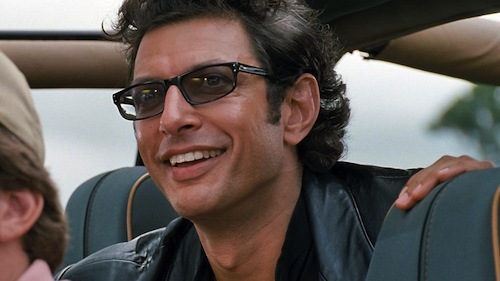 And then at the end of six hours, there would be this four word line of dialogue that would be the distillation of all that, that was brilliant." 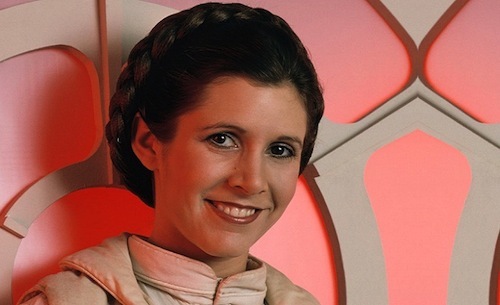 Lucasfilm president Kathleen Kennedy, speaking exclusively to ABC News, clarified Carrie Fisher would not be appearing in Star Wars: Episode IX following her brother Todd's remarks to the New York Daily News. This is sad news for fans. However, director Rian Johnson's The Last Jedi appears to be a fitting swan song for the beloved actress and writer. The first teaser trailer dropped during Star Wars Celebration and suggests a more mythological tale with tragedy at its core. Cast and crew pay tribute to the late Carrie Fisher at Star Wars Celebration during an emotional 40 Years of Star Wars panel featuring franchise creator George Lucas. Star Wars: The Last Jedi co-stars Mark Hamill and Daisy Ridley appeared on Good Morning America to promote Force for Change in celebration of Star Wars' 40th anniversary. 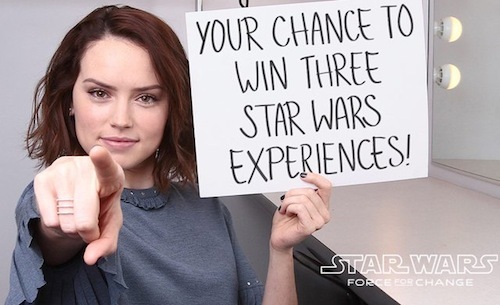 Fans have a chance to win an appearance in the upcoming Han Solo spin-off movie, a night at Skywalker Ranch and attend the premiere of The Last Jedi. What's not to like and, best of all, you're helping a charitable cause. Hamill and Ridley will be joining past and present cast members at Star Wars Celebration this Thursday. Fans can donate to Force for Change here. 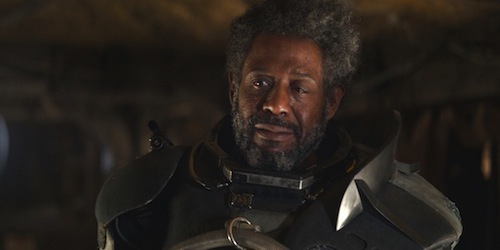 Forest Whitaker, who plays Saw Gerrera in Rogue One: A Star Wars Story and Star Wars Rebels, returns to Star Wars Celebration. 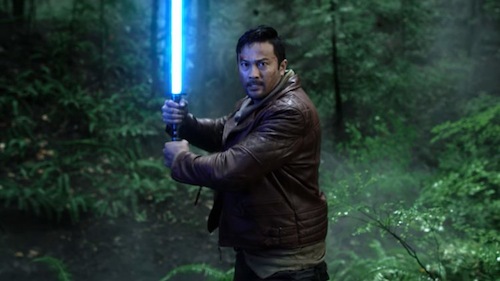 Whitaker will be making his second Star Wars Celebration appearance, and will also stop by the Star Wars Show LIVE stage with Rogue One co-star Felicity Jones, on Saturday, for a one-on-one chat. Star Wars Celebration Orlando begins 13th April, celebrating the 40th anniversary of Star Wars' US release and rumoured to premiere the first teaser trailer for The Last Jedi. May marks the 40th anniversary of Star Wars' release in the US. So, this year's Star Wars Celebration is extra special for fans. Hayden Christensen is appearing at Star Wars Celebration for the first time since 2002, which has fuelled ongoing speculation he's reprised his role as Anakin Skywalker in director Rian Johnson's The Last Jedi. The actor's likeness appeared in Gareth Edwards' Rogue One: A Star Wars Story. Christensen's portrayal of Anakin Skywalker, in the Star Wars prequels, was met with mixed reaction until the latter moments of Revenge of the Sith. Most notably when a dismembered Skywalker solidifies Obi-Wan Kenobi's (Ewan McGregor) failure. However, Natalie Portman delivers a bland performance herself. This could be attributed to the director, dialogue and an over-reliance on special effects. Therefore, I'm optimistic given Johnson's focus on a character-driven story. "Never before have this many involved in bringing Star Wars to life — from the original trilogy to the prequels to the current Star Wars Rebels animated series — joined together in one place to discuss a galaxy far, far away. Plenty of surprises are in store so fans will not want to miss this very important kick-off to Celebration." Stay tuned for more coverage of Star Wars Celebration.